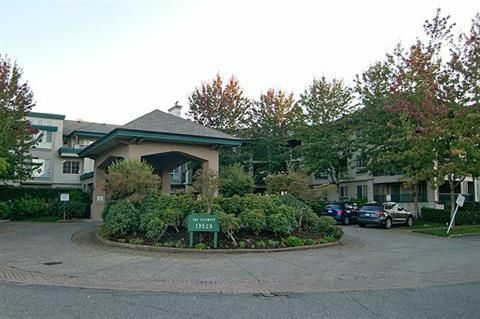 Spectacular and spacious 2 bdrm, 2 bath unit with large covered balcony overlooking private courtyard area absolutely must be seen to appreciate. This spacious plan offers 2 bdrms separated by the living area to provide privacy for you and guests when they are visiting. Entertainment sized liv rm w/ cozy gas fp and dr to covered balcony. Spacious din rm w/ attractive millwork. Kitchen spacious enough for the most serious chef. Mbdrm w/ wi closet, 4 pc ensuite & dr to covered balcony. A must see for the discerning buyer.